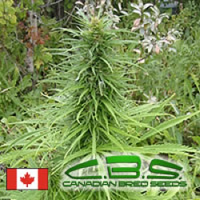 This variety was made because there was a need for a big productive plant that finished quickly. 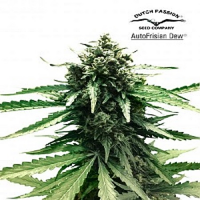 Goldenberry Feminized Marijuana Seeds by Genofarm Seeds: This variety was made because there was a need for a big productive plant that finished quickly. This plant has a formidable structure; therefore, it supports itself without the need of nets or canes. In short, this is one of the most commercial varieties from our collection. Growers claim high quality crops are achievable and with only 45 day flowering. This short flowering period has made it a popular grower’s choice when production is one of the most sought parameters. 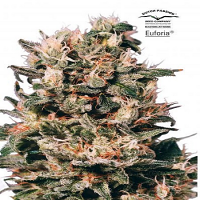 The quality is defiantly maintained compared to other longer flowering species. The flowers are hard and compact, fully charged with white resin and gives excellent results when being used for oil extractions. For maximum production of tasty ground Golden Berry, many growers recommend keeping the plants in pots 8x8x8cm maximum for 25 to 28 days. Then transplant into the final pot (pots between 7 and 11l recommended). 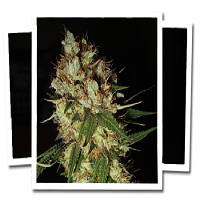 From germination to harvest our recommendation is 12 hours light and 12 hours dark (flowering cycle). The plant will grow to its full potential using these guidelines.